Biometric health screenings are important. They provide an inside glimpse of the body’s levels of fat, sugar, and blood flow pressure (which are found through a basic lipid panel, glucose test, and blood pressure reading). As you design your organization’s wellness program, an annual health screening is a key program component to consider including. The information gleaned from a health screening will help shape the initiatives for your wellness program and provide a great motivation for your employees to make lifestyle changes. Why include a health screening? Whether you are implementing a participatory, activity, or results-based wellness program, health screening test results provide several benefits for your organization and employees. Health screening test results can be key indicators for existing or potential chronic diseases and medical conditions. Health screening test results integrated with a lifestyle questionnaire or health risk assessment provides a more comprehensive analysis of overall health and risks. Knowing your numbers at an aggregate or individual level will give a baseline to measure progress from. Biometric values are one of the most tangible ways that employee behavior change can be measured. Results provide the opportunity to develop wellness initiatives to address high risk areas. Through disease management and prevention efforts, you can save in future medical expenses while increasing productivity and return on investment (ROI). There are different ways to incorporate biometric health screenings into your program. Assess which method is right for your organization by considering your size, location(s), budget, incentive structure, and timeframe. Employees complete the health screening onsite at your workplace with your health screening vendor. Employees complete the health screening at a clinic associated with your health screening vendor. Employees complete the health screening with his/her primary care physician. Designing the appropriate health screening for your organization is vital to the success of your wellness program. 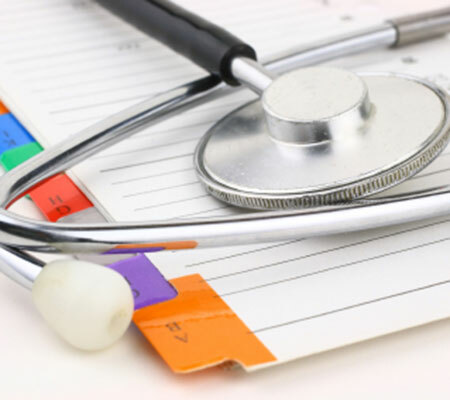 Need help deciding the best health screening set-up for your company? Use the health screening checklist on the following page to help you determine how to best drive employee participation and gain insight on your organization’s health risks. Need additional assistance? Well Nation® can help. Well Nation® offers a variety of health screening methods designed to easily integrate results into our state-of-the-art health risk assessment and Champion Rewards™ Points Program. To learn more about how a health screening can help your organization effectively capture the health risks of your overall employee population, visit www.wellnation.com.